Edward VII 1d. Imperf.Forgery affixed to Hannah Chaplin - Enfield Stamp Company Ltd.
View basket “Edward VII 1d. Imperf.Forgery affixed to Hannah Chaplin” has been added to your basket. Forgery cancel 1d. imperf. to Hannah Chaplin. 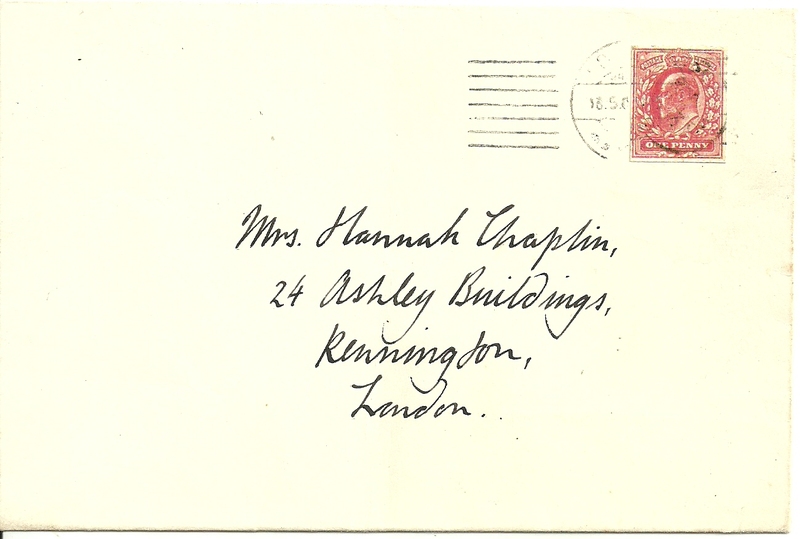 Affixed to envelope and tied by fake(German type) CDs and Bars pmk., addressed to Mrs Hannah Chaplin, Charlie Chaplin’s Mother. Hannah was an actress in her own right and this was probably constructed as a prop for a play she starred in. Most interesting and RARE item. PROBABLY UNIQUE.